He was born in Himalaya area, it lies in Sindhupalchowk district, Bagmati zone in central development region of Nepal. 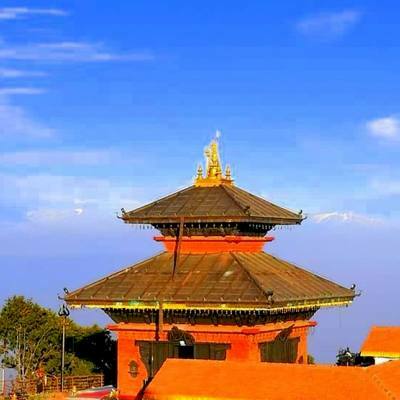 Which is surrounded by Nuwakot, Kathmandu, Rasuwa, Kavre, Dolakha, and China in the north. And lush different forest, boundless series of mountains, under the spectacular Himalayan views of Jugal Himal, Dorje Lakpa Himal, Longpo Gang Himal, Phurbi Chyachu Himal and other beautiful mountains. The most popular sacred holy lake of Panch Pokhari pond, which is very popular for Trekking and both Buddhist and Hindu religion. He spent his childhood in the village during his school education. He was moved to Kathmandu for higher education after the school education. And then he started together to study and travel. He is inspired by natural beauty and start own career in traveling to numerous exotic places as an employed. 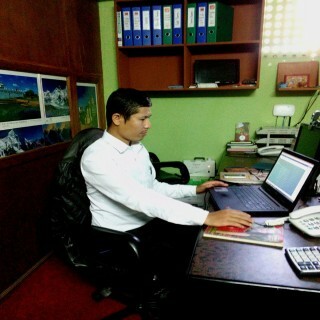 He started working in the Nepalese tourism field at the age of 16- 17. He started his struggle by employed as a porter and with the good faith, there is no work big and small at the start of the journey to success. The slowly, by gaining knowledge and information almost several travel routes, then he established himself as a licensed guide from the government of Nepal of Nepal Academy of Tourism and Hotel Management (NATHM). He worked more than 10 years as a tour/ trek leader in the Himalayas. He always had desire and commitment towards tourism business. Finally, his hard work and struggles made it possible for him to establish Nepal Glacier Treks. 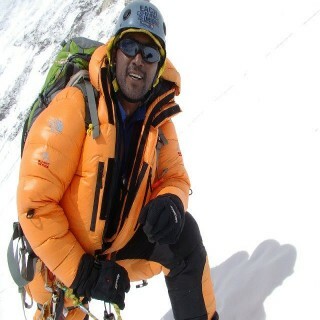 Presently, he is the Managing Director and (CEO) at Nepal Glacier Treks. He has not only been a good entrepreneur, however, he is also quite active in underwriting to the welfare of the community. His well and actively working in the tourism industry and getting experience and knowledge with an unlimited passion for his country, he always believes in sharing the common sense of adventure that one whereas traveling the Himalayas. He has been successfully leading Nepal Glacier Treks. The desire is to make sure that company keeps up its higher quality of service. He is operating a simple but very smart and modern business and it has grown with good impact every year. He wants to aim at promoting environmentally and socially in the world. A good team is a key of success! We believe in team work in well trust everyone, who works with his/ her deep experience, practice, and capabilities. Behind the success of any company and even people, there are hardworking people who contributed their hard work and struggle. We have been practiced to work in a team, since our establishment with well manage and experience. Our team is working hard for the company to success. This is the major different than other company, where we deal your venture with impossible to possible in the Welcome Nepal. We are your travel partner and let’s join us for an amazing experience in this wonderful and untouched land of the world. Mr. Lama is not a new for Nepalese travel and tourism sector. He has been involving and concerning in this sector for more than 16 years. He mainly leads the overall team and administered both internal and external activities. He was born in the remote village of Thangpal Dhap village development committee in Sindhupalchowk district of Nepal. This village is situated in Bagmati zone, central development region in north- west of Nepal. 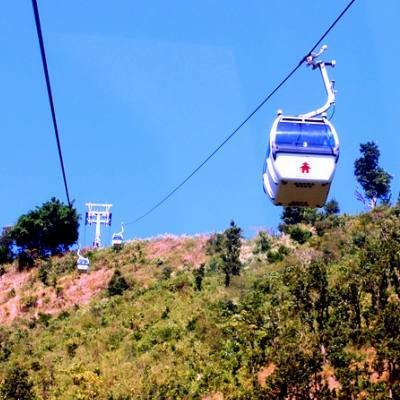 It is enclosed by Kathmandu, Nuwakot, Dolakha, Kavre, Rasuwa district and neighbor China in the north. And there is an endless series of a beautiful mountain, different types of lush forest, very popular Indrawati River, under the eye- catching views of Jugal Himal, Dorje Lakpa Himal, Phurbichyachu and Langpo Gang Himal and another wonderful mountain. And also the most popular Panch Pokhari (five holy lakes) pond, which lies in the north of Kathmandu at altitude 4200 meters above. It is very famous for wilderness trekking and both Buddhist and Hindu pilgrims. He has founded this company presently based in Kathmandu city Nepal. He is loving about great nature and Himalayas. He targets to give all time of his life on their promotion and protection. He has well knowledge and experience of all feature of trekking, travel as well as travels. He has led the numerous groups many times to all famous trekking base camps. He is also one of the highly endorsed tour operators by huge numerous of visitors in Nepal. He has good knowledge in English as well as Chinese and Italian language. He has traveled abroad to show Nepal as best travel destinations and participated in many international road shows. He has started this company simple mission to charm visitor with unforgettable travel experience. He has a mission to provide a greater quality of travel and trekking services than has ever been available to the visitor in Nepal. 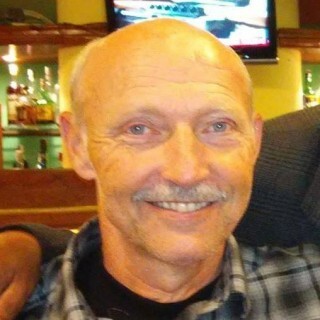 Mr. Hoff was born in Norway, he always enjoyed traveling, and he has spent most of his time in Nepal and the wider Himalayan region. A few years ago, he organizing small tour groups for like Minded people to enjoy and experience the delights of a different country and culture. Travel broadens your mind and gives you the pleasure of meeting different people from all walks of life. Nepal is a beautiful country with amazing natural and spiritual sights and a visit here will leave you with a wondrous feeling. Whether you want to travel individually or in a small group, we at Nepal Glacier Treks & Expedition (P.) Ltd. can arrange this for you. Mr. Sushan was born in the small village of Sindhupalchowk district at 1600m, which is lies in Bagmati zone in central development region of Nepal. Surrounded by Nuwakot, Kavre, Rasuwa, Kathmandu, Dolakha, and China in the north. And an endless sequence of the mountain and lush forest, under the stunning vistas of DorjeLakpaHimal, JugalHimal, PhurbiChyachuHimal, Longpo Gang Himal and another beautiful mountain. Where the most popular holy lake of PanchPokhari is located at 4200 meters. This is the very famous for both Buddhist and Hindu pilgrims. Having worked as a trekking guide in the Himalaya more than six- seven year, he realized operated and owned locally trekking company as an international standard to Nepal’s tourism field. Now, he has been successfully leading Nepal Glacier Treks with great NGT team in Kathmandu, due to his honesty and professionalism in the tourism field. He required is to make sure that company maintains its high quality of service. He always serious about management background and also a solution of problems. The main facts of his success are perfect planning, well decision and management as well. He is a good communicator, disciplined and can switch the situation very well. 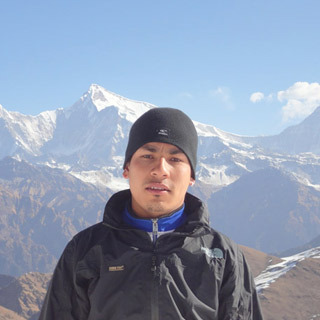 He has perfectly led the numerous groups of visitors to Everest, Annapurna, Langtang and other trekking areas. He has a good command of English as well as the Japanese language. 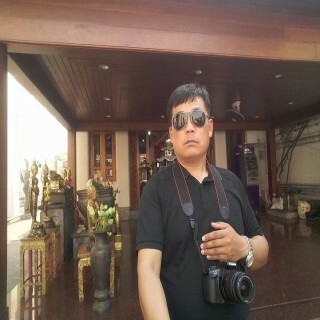 He has wide experience, ability, and knowledge to control the travel and tour company as international level. Mrs. Damuna grew up Sindhupalchowk district in north- east of Kathmandu, which is situated in the Bagmati zone in central development region of Nepal. 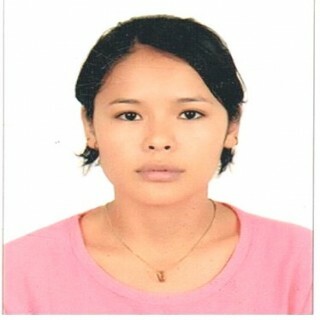 She comes from the Nepal’s indigenous ethnic group of Tamang community. She has an enormous interest in reading, writing, traveling, cooperating with people. She has been providing numerous trip information with different people all over the world. She has traveled India, Egypt, France and Singapore on travel and work purpose. She always thinks as life is never ending learning procedure “take each day as new hope and challenge of life”. She started work tour and trekking company with the name of Nepal Glacier Treks, and proud feel in being connected with this company as getting the chance to promote our wonderful Himalayan country to all over the world. Currently, she is managing account department of Nepal Glacier Treks by her great experience to move ahead of the company. She also looks after problems like hotel booking, flight booking, vehicle hiring and issuing tickets, she carries out her duty as a response in the office. 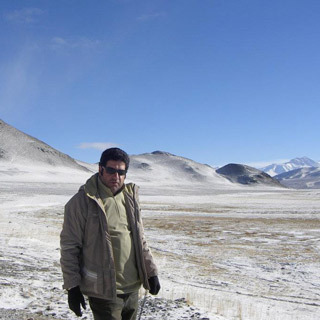 With the vast knowledge of the trekking and mountain climbing routes, he is the gem of our company. He also knows how to handle situations in case of emergency and is a very well behaved and friendly person. PhuTshering Sherpa is an experienced mountaineer, 6 times Mount Everest (8848m.) summated and 1 times Amadablam summated. And many more peaks climbed as well as 10 years trekking experience. He is originally from Khumbu (Everest) Region. His journey as a climbing guide started for the first time as a porter and then as a kitchen boy. Gradually, he was promoted as an assistant guide. He worked very hard and soon he was able to speak English and took guide training. Then finally he was promoted as a trekking guide. After several years working as a base camp cook and peak climbing guide with a couple of other companies, he joined Nepal Glacier recently. He holds a special license from the Ministry of Tourism of Nepal as a climbing guide and speaks good English.